Each year on the first weekend in March a few thousand pinot geeks converge on the small beach side community of Shell Beach at The Cliffs Resort to revel in the wines made from their favorite grape. 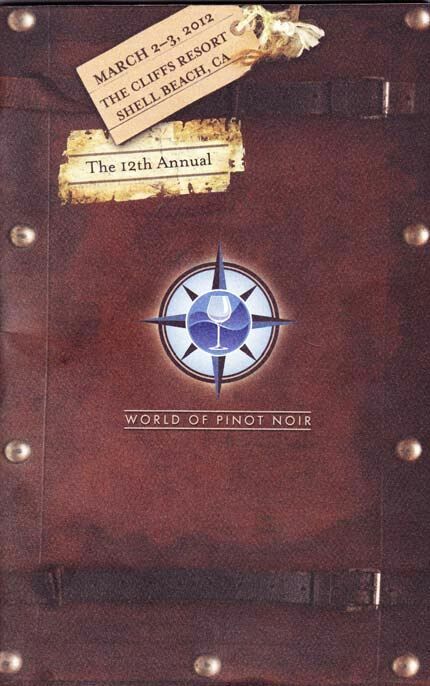 This year’s event was exceptional thanks to the efforts of Karen Steinwachs, the 2012 Chairperson, and the dedicated work by the World of Pinot Noir Board of Directors and Advisory Committee. It was a weekend to renew old friendships and make new friends, to discover new Pinot Noir producers as well as revisit established Pinot Noir vintners, and to taste the current bounty of Pinot Noir from North America, New Zealand, Australia, Chile, and Burgundy. Two seminars were offered on Friday, March 2, hosted by winemaker Fintan Du Fresne and the crew at Chamisal Vineyards in Edna Valley. 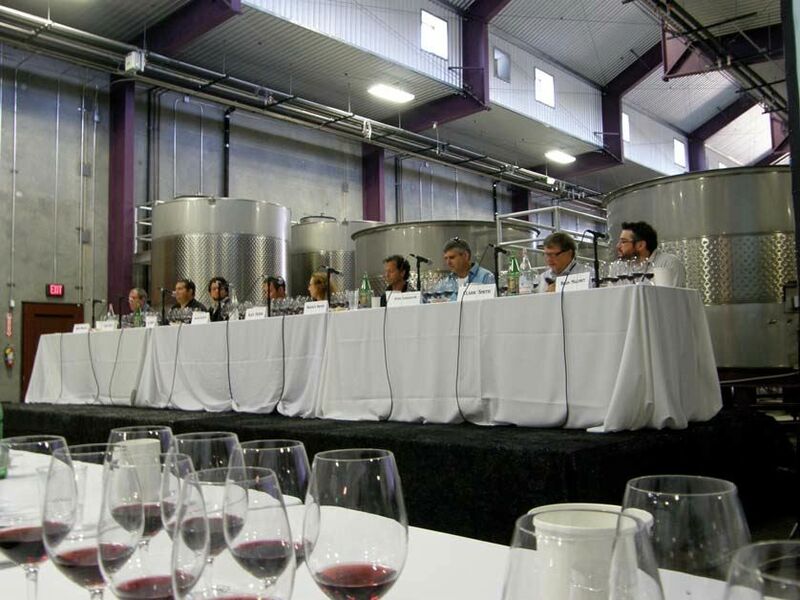 The first seminar, titled “Technique v. Terroir: The Cube Project,” was moderated by yours truly, and the second seminar, “Natural Winemaking,” was moderated by noted Pinot Noir expert, John Haeger. I will summarize the discussion and conclusions reached at each seminar. 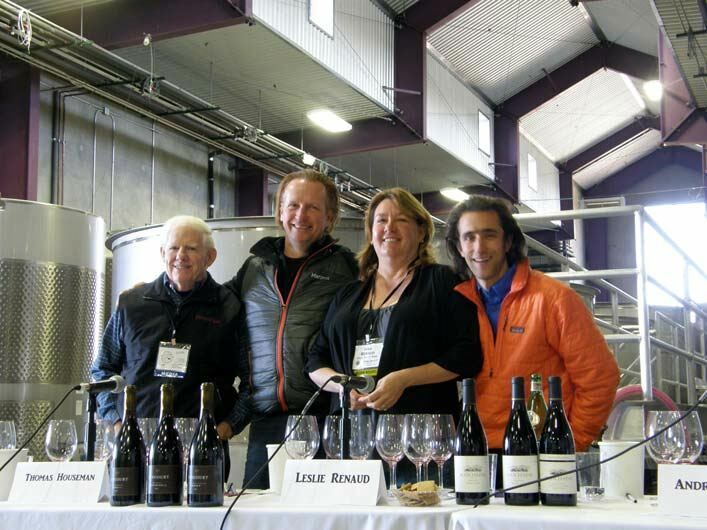 Three winemakers, Thomas Houseman of Anne Amie Vineyards in Carlton, Oregon, Andrew Brooks of Bouchaine Vineyards in Napa Carneros, California, and Leslie Mead Renaud of Lincourt Vineyards in Santa Barbara County, California, met at the Steamboat Conference for winemakers held in Oregon each year before the International Pinot Noir Celebration. They decided to devise an experiment in terroir that involved the three winemakers and their three vineyards, with 9 wines resulting from three vintages (thus the “Cube” designation). The three wineries picked 6 tons from a block of Pommard clone Pinot Noir, dividing it into thirds, with each winemaker fermenting 2 tons of fruit. Each winemaker was responsible for picking decisions at their own winery and the grapes were picked on the same day. In this way, each of the three wines made from that particular lot started on equal footing. Each individual winemaker crafted the wine from the two other vineyards in the same fashion as the wine from their own vineyard. The regimen would be repeated for three vintages, 2010, 2011 and 2012. The Cube Project is about community, terroir and creative expression of the winemaker. It is a unique opportunity for each winemaker to see their home vineyard through another winemaker’s eyes. It also offers the opportunity to compare wines from the same terroir made by different winemakers to see if the stamp of terroir shows through, and to compare three wines from different sources made by the same winemaker to see if the winemaker’s signature is evident in the wines. The experiment also offered the opportunity to study the different stylistic imprint of the Pommard clone from three diverse regions. The winemakers had tasted the wines when very young (July 2011) in a blind and randomized fashion. The consensus was that the stamp of the winemakers and the vineyards was very clear. The overwhelming consensus of the seminar attendees (over 100 people) was that at this stage in the wines’ evolution, the signature of the winemaker was much more evident than the terroir. One would expect that winemakers would be more adept at making the distinction between winemaking and terroir, but there were a number of winemakers in the audience as well. The French definition of terroir includes the winemaker and winegrower. Jamie Goode and Sam Harrop (Authentic Wine) concur: “The human element of terroir is important. Human input shapes the must and the wine in so many ways excluding it from the definition of terroir is ludicrous.” Others believe that terroir can only encompass natural occurring elements, the work of God so to speak. 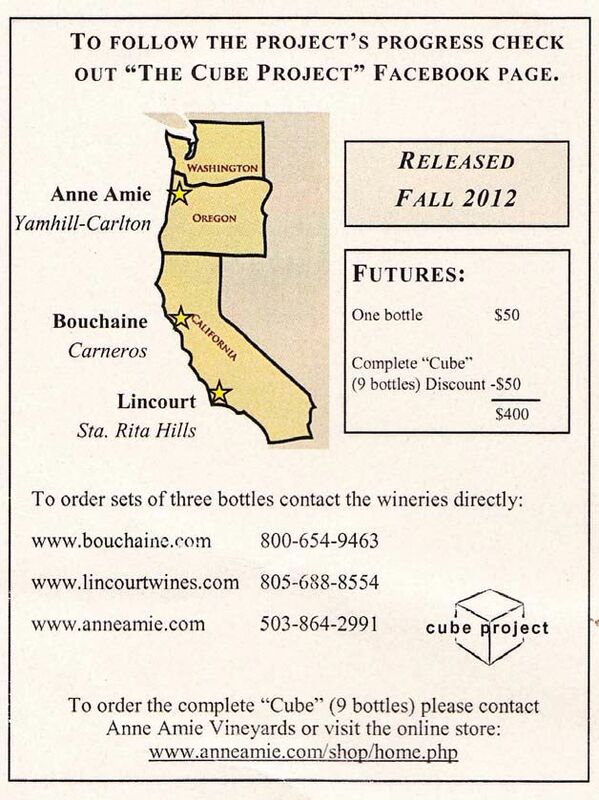 The Cube Project wines will be available for sale. The 2010 vintage wines will be released in the Fall of 2012. Ordering details are below. The panelists for the Natural Winemaking seminar included both small winery winemakers who practice various degrees of “natural” winemaking (Bradley Brown, Big Basin Vineyards; Peter Cargasacchi, Cargasacchi Vineyards; Nathan Kandler, Thomas Fogarty Winery; and Joe Wright, Left Coast Cellars), larger wineries that do not pursue the extremes of “natural” winemaking due to economy of volume concerns (Scott Kelley, Estancia Estates Winery; Brian Maloney, DeLoach Vineyards), a well known author and proponent of “natural” wines (Alice Feiring, Naked Wine), and the founder of Vinovation (a provider of alcohol reduction tools, volatile acidity reduction, juice concentration, supplier of tannin adjunct, etc) and vintner at WineSmith, Clark Smith. In general, natural winemaking involves natural winegrowing (no irrigation, organic pesticides and herbicides, if any, etc. ), indigenous primary and secondary fermentations, the use of very little or no sulfur dioxide throughout the winemaking and bottling process, the absence of additions of any kind such as enzymes, and no fining or filtration. Proponents of natural winemaking believe that the wines that result are the purest expression of place. John Haeger surveyed a significant number of winemakers about their use of various winemaking techniques, comparing those who called themselves natural winemakers as opposed to those admitted interventional winemakers. 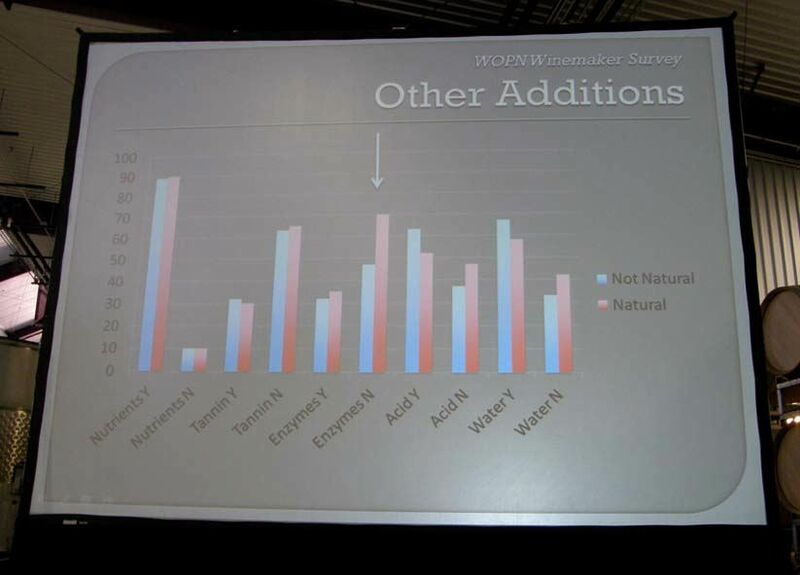 His survey found that 60% of the winemakers claim to divulge everything about their winemaking technique (a high figure Haeger believes), and 40% are selective about what they admit regarding their winemaking technique. Questioning winemakers about their practice of inoculation in both primary fermentation and malolactic fermentation indicated there was a significant difference, with natural winemakers more frequently refraining from inoculating fermentations (arrows indicate significant difference). 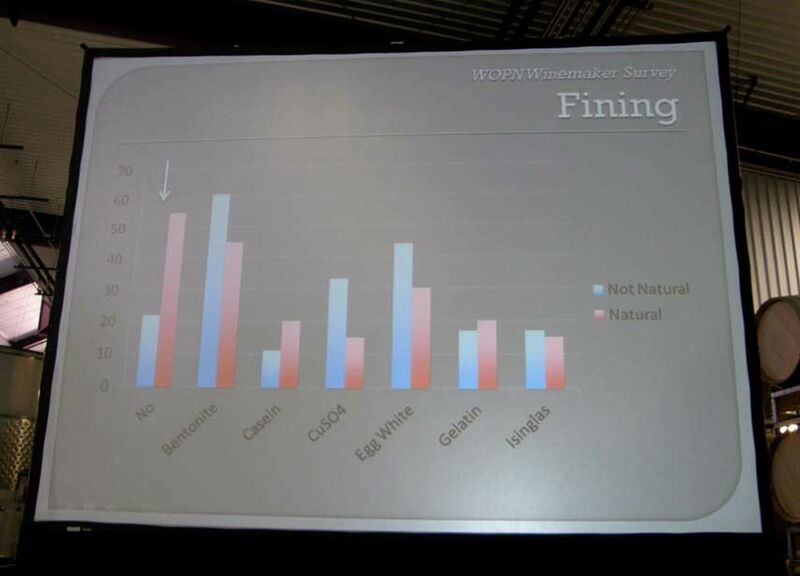 When surveyed about additions during winemaking, a significant number of natural winemakers never use enzymes compared to interventional winemakers. A significant difference was noted when winemakers were asked about fining with natural winemakers reporting that they rarely did it. There was no significant difference among winemakers of both types as to the use of filtration. A significant difference was found in the use of sulfur dioxide at the crusher with natural winemakers most often using little or none. The #4 wine from Clos Saron is the most true to the “natural” winemaking paradigm and was the single problematic wine at the tasting. The Clos Saron Pinot Noir has no detectable sulfur dioxide at bottling. There was variation in the bottles of Clos Saron Pinot Noir poured at the event and this is the rub against natural wines. The sample I tasted and those samples poured from the same bottle and tasted by others in my vicinity, showed considerable funky aromas, with clear evidence of oxidation. The wine seemed way beyond its year of harvest in maturity. Sulfur dioxide, of course, acts as a antimicrobial and antioxidant and is usually added in small amounts at the time of bottling. Without this addition, there is a risk of a flawed and commercially unacceptable wine such as the bottle poured for this seminar. 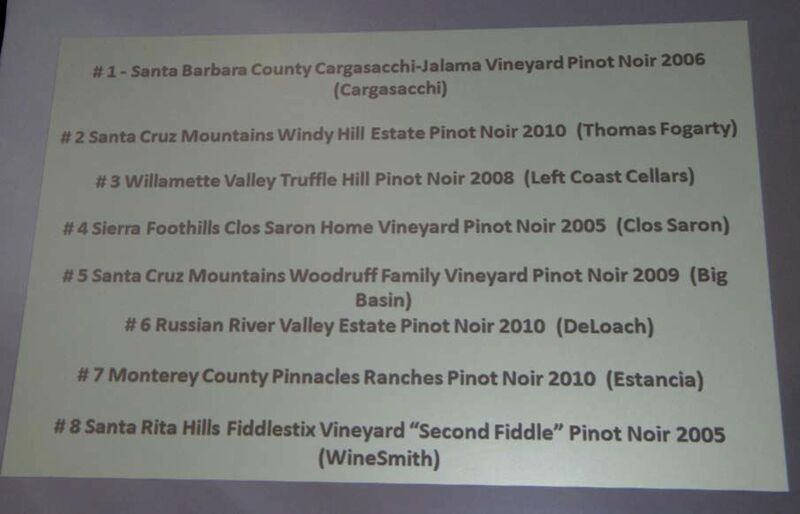 I have had a number of Clos Saron Pinot Noirs over the years and they have been generally pristine, but like the bottle poured at this seminar (and another I tasted at Pinot Days a few years back), they can be subject to microbial and oxidative irregularities. The #7 wine from Estancia Estates was made from machine-harvested grapes, using extensive interventional winemaking techniques to produce 250,000 cases, yet it was a very decent, fruity Pinot Noir. Winemaker Scott Kelley pointed out that the larger the production, the more economic risk involved, and the resultant necessity for the winemaker to intervene at multiple stages of the winemaking process to insure the large volume of wine is sound for commercial release. If you have any interest in the Natural Winemaking Movement, I highly recommend you read the very educational book, Authentic Wine, by Jamie Goode and Sam Harrop MW (University of California Press, 2011, hardcover, 259 pp, $29.95 list). 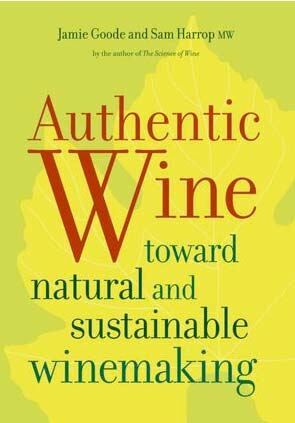 With chapters on terroir, biodynamics and organics, chemical and physical winemaking intervention, and the Natural Wine Movement, the authors cover the complex subject of authentic wines in relevant detail with sound scientific explanations. 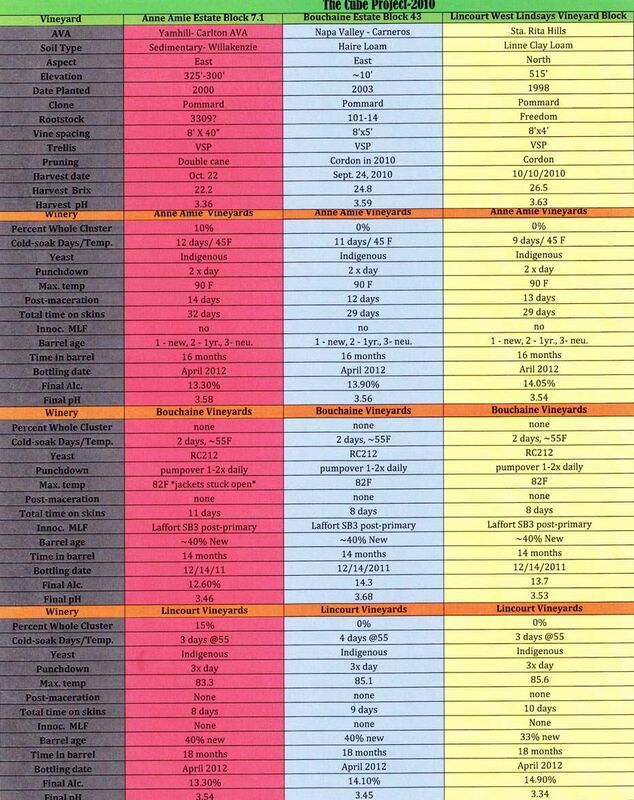 There is considerable winemaking information as well that will serve any wine enthusiast well. The two seminars were recorded in their entirety by Grape Radio (www.graperadio.com) and will be posted for listening at a future date.